Tunes or Just Custom Tuning Only – Please read all the way to the bottom. If you are Purchasing a Programmer or Tuner with SSi Custom Tunes you will select your Make and Model and find available devices we carry for you vehicle. Go To: Purchase / Ford F150 Ecoboost 2011up / Then the list of devices are there to add to the checkout and you make your purchase. The Device is then shipped to you. Once the Device has arrived you will fill out the Custom Tune Request Form and your Custom Tunes are sent to you via Email where you transfer the Custom Tunes onto the device. You need the device to fill out the Custom Tune Request Form. 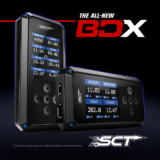 There is information we need specifically for your custom tuning that can only be read from the device. This is why you fill out the custom tune form AFTER you receive the device. Then you are ready to program your vehicle. Its that Easy! More information on how to load a custom tune and other frequently asked questions here on our FAQ page. If you already have a programmer and are purchasing SSi Custom Tunes Only, click on the link below and select the number of tunes wanted. Add to cart and checkout. You then fill out the Custom Tune Request Form (click Here) and your Custom Tunes are sent to you via Email where you transfer the Custom Tunes onto the device. You are now ready to program your vehicle. 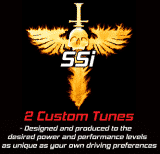 You may also purchase SSi Custom Tunes by selecting your your Make and Model and find custom tunes only purchase. Then select the number of tunes wanted. Add to cart and checkout. When ever you order multiple tunes or a tuner with our custom tunes we will initially send you a SSi1 and a SSi2 performance tune for what ever octane you have in the vehicle at that moment. These are free and we want you to try them both out and want your feedback. After you experience these 2 different types of performance tunes you will then order your tunes based upon that SSi1 or SSi2 format. SSi2 is a more aggressive performance tune and preferred by 80% of people. The next 15% are SSi1, and 5% SSi0 or the Snow and Sand tune. We obviously can make adjustments in those two base tunes as well. We have what we call a SSi1jr and a SSi2 jr that is a split of these 2 styles of performance tunes that people seem to really enjoy as well. The bottom line is we have more control over these tuning platforms than anyone else and we can put it right where you want it from mild to wild. We started doing this in 2014 and it is highly successful. The customers like being able to try different tunes and are able to have a tune that fits their unique driving style instead of a one size fits all tune. Its a few extra minutes for us on the front end however its win-win for both the customer and us on the back end. We usually don’t get that..”can you turn it up more” or “can you dial it back” after the sale. The bottom line is we want the customer happy with what they have. This is just another way we put custom into custom tuning.